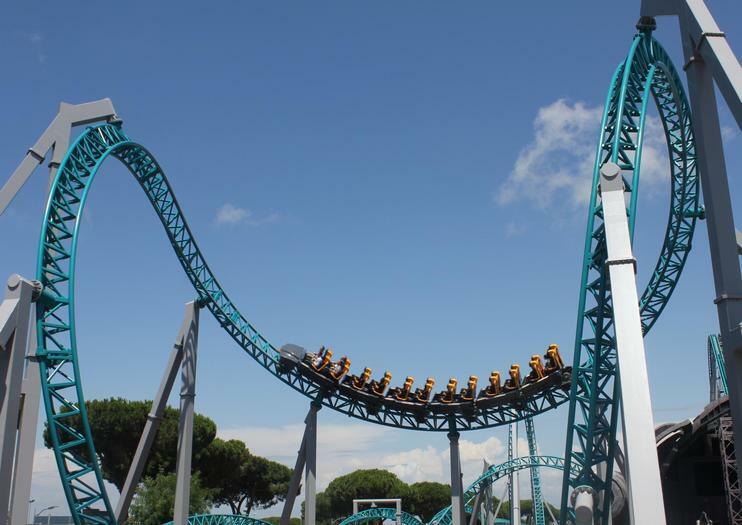 Having just opened in 2014, Cinecitta World is Italy’s newest amusement park and the largest film studio in Europe. Dedicated solely to film and entertainment, eight film sets, four theaters, and twenty attractions comprise the main area. The park was built in the Castel Romano complex atop former a film studio, and remains an homage to great Italian cinema produced here in the 1960s. Films such as Gangs of New York, Ben-Hur, and Dante's Inferno were brought to life in this space. Visitors today are immersed in the experience of filmmaking, having the chance to go behind-the-scenes in former and imagined movie sets. Oscar-winning composer Ennio Morricone created the soundtrack for the Western themed set, and designer and art director Dante Ferretti completed the initial drawing plans. The idea is that the line between fiction and reality becomes blurred during the experience. The park also has two rollercoasters and live themed shows daily. Cinecitta World is open daily from 10 am to 11 pm. Located at Via di Castel Romano 200 in Rome, the admission cost is €29 for adults and €23 for children. A shuttle from Termini Station leaves daily at 9:30 in the morning. Satisfy your urge to splurge with a 6-hour shopping excursion to the Castel Romano Designer Outlet. Located just 20 minutes from Rome’s city center near the Tyrrhenian coastline, the sprawling retail complex offers deep discounts on more than 150 brands, including designer names like Valentino, Michael Kors and Roberto Cavalli, as well as more casual apparel like Nike and Guess. Enjoy the help of a personal shopping assistant throughout the day — so you can return from Italy’s capital with fabulous new pieces to add to your wardrobe.